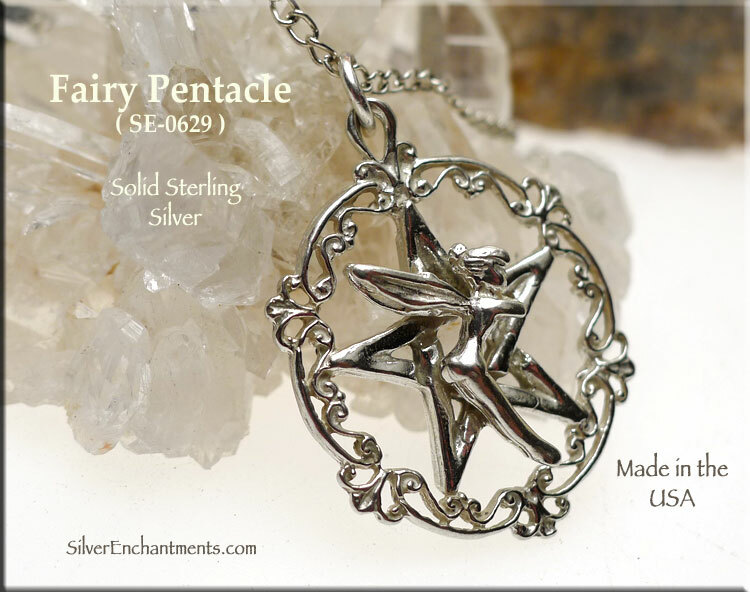 > You can Customize this item into a Tinkerbell Pentacle Necklace -- Choose from : Pendant Only, or on a Sterling Silver Necklace Chain (see last picture for current chain style). 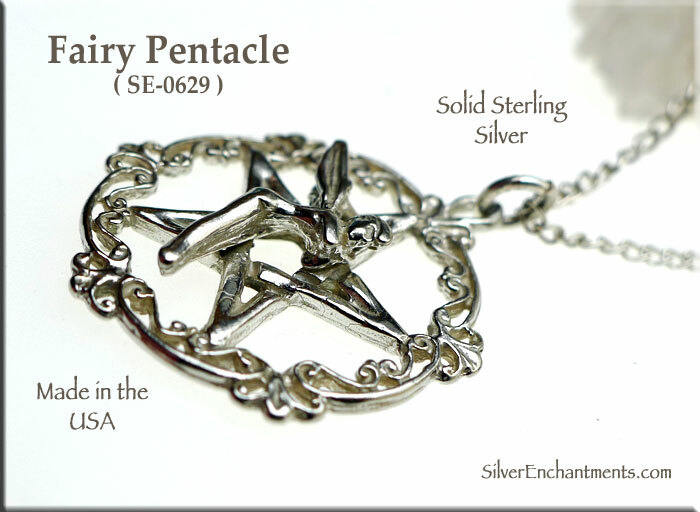 When selecting on a SS Chain, your Solid Sterling Silver Fairy Pentagram Necklace will come Boxed. 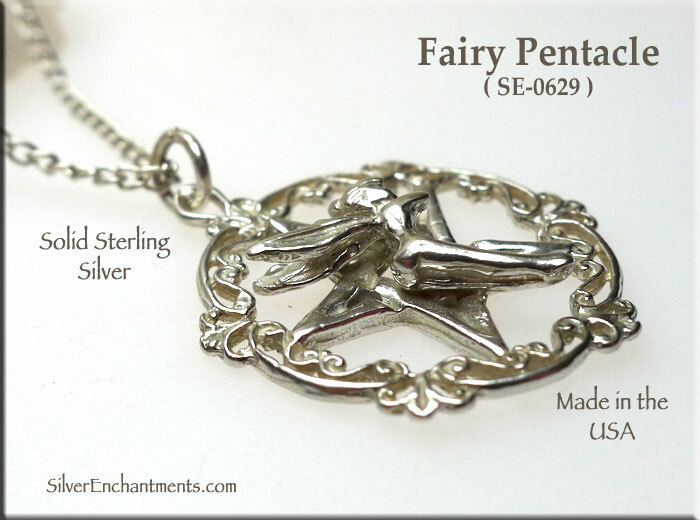 Fairy Symbolism | Faery Folklore - A fairy is a small, supernatural creature that dwells in a magical place. In folklore fairies are usually in human form but they are known to disguise themselves well when needed. 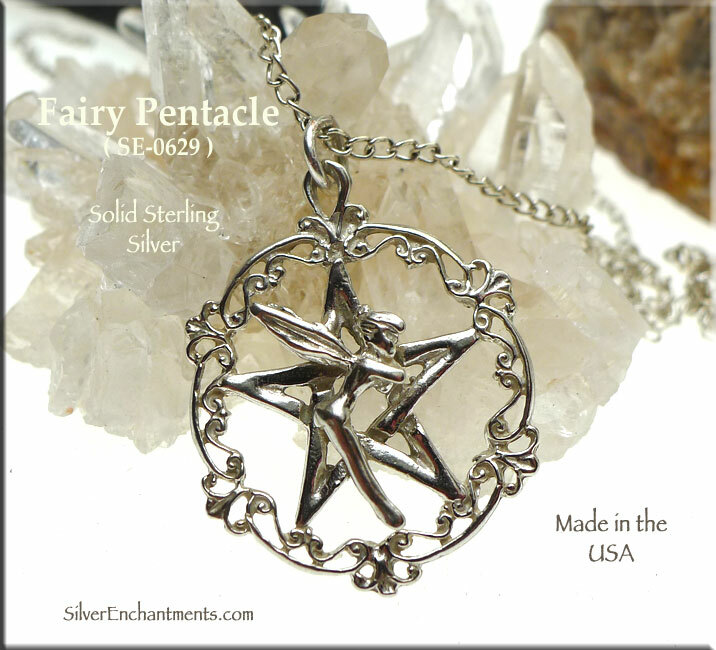 There are a wide variety of earth spirits, from the elves and gnomes of the deep forest - to the pixies and fairies of flower gardens and meadow lands. Undines, nymphs and sprites are water creatures and sylphs are air spirits.